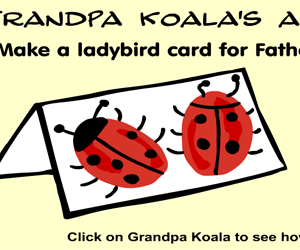 Make a ladybird card for Father's Day. 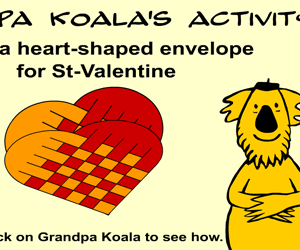 Grandpa Koala's craft activity for Father's Day. 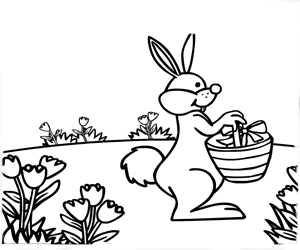 Color this funny bunny as he delivers eggs for Boowa and Kwala ! 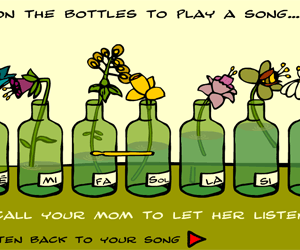 Then get Kwala to play it back to you. 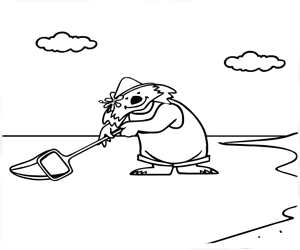 Color him in... don't forget to draw the waves and the shells. Help him through the maze - be quick, he's late for Christmas! 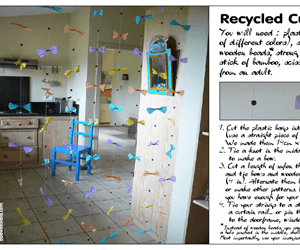 Make a curtain out of old plastic bags !